Home » Jackpots • Reviews/News • Slots and Games » Microgaming Spreading the Online Bingo, Poker and Casino Love! More iGaming sites choose Microgaming online casino, bingo and poker platforms. Microgaming has always been a leader in the iGaming arena. Its popularity across multiple verticals is spreading like wildfire lately. In the last two weeks alone, Microgaming has announced partnerships with three distinguished operators, all choosing the digital gaming juggernaut’s superior platforms. On March 13, it was revealed that Danish lottery operator Danske Spil has chosen to upgrade to the international Microgaming Bingo Network. The very next day, Microgaming welcomed PokerLion to its MPN poker network. 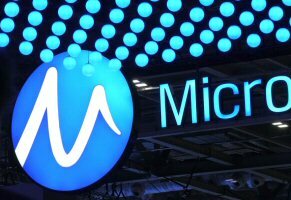 Then on Thursday, sports betting giant Pinnacle elected to integrate Microgaming’s Quickfire online casino platform. With head offices in the Netherlands, Pinnacle was founded in 1998, since evolving into one of the largest, most respected iGaming sites in the world. The company delivers sportsbook and casino products to players all over the globe. Pinnacle supports a wide variety of content licences, giving its players access to myriad casino games. The integration of Microgaming’s desktop and mobile compliant Quickfire platform extends the overall game variety by a whopping 600+ games. PokerLion is a new online poker room from Stuti Hardware Pvt Ltd. (dba Ability Games). The site launched on the MPN Indian Poker Network on March 8, 2018. Targeting a board demographic, the operator is utilizing Microgaming’s award-winning software, equipped with multifarious features, license-branded content, and the industry’s only progressive jackpot SNG poker games. Danske Spil is the national lottery of Denmark. The operator’s iGaming segment has been in partnership with Microgaming since 2013, when Danske Spil inked a contract with Microgaming’s Prima Network Ltd in conjunction with Betway. However, up until now, the operator was only permitted to pool players from within Denmark. Under the country’s updated regulatory guidelines, Danske Spil has reconditioned its licensing agreement. Now, players within Denmark are allowed to compete against players outside the country. As such, Danske Spil has signed a new deal to transition to the Microgaming Bingo Network, where its player base will expand monumentally. The increased player liquidity will give members access to a wider variety of games and larger jackpot prizes. Microgaming online casino, bingo and poker platforms are spreading at a phenomenal rate these days. The company has signed nine new operator deals this year alone, and it’s only March. No doubt Microgaming’s exponential growth will continue, with much more to come through 2018 and beyond.